Following the brutal acid attack on a girl in the Deoria district in Uttar Pradesh, the Police has assured that they are doing their best to try and nab the perpetrators. 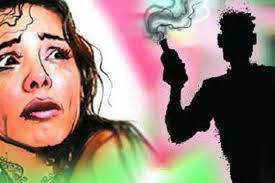 Deoria: Following the brutal acid attack on a girl in the Deoria district in Uttar Pradesh, the Police has assured that they are doing their best to try and nab the perpetrators. Superintend of Police Rajeev Malhotra said that the attack took place in the Kotwali district of Deoria. "Acid was thrown at her back and on her legs. She is completely out of danger. She has named three guys and all of them are from her village only," he said. According to the police, the incident happened because the girl wasn't willing to take back the case she had filed against two of the three accused for harassing her last year.